Krystal Reardon, 44, who has been on dialysis for eight months, is appealing for "a life-saving transplant" even as she's on a waiting list. 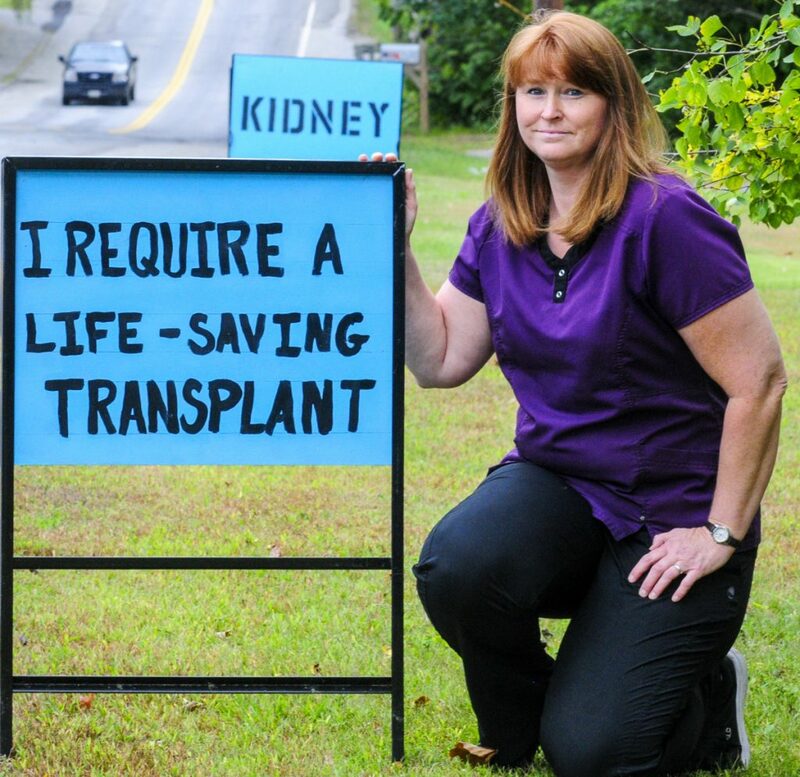 AUGUSTA — A half-dozen signs set up this week along property on busy South Belfast Avenue piece together a highly visible plea from Krystal Reardon for the public to help her find a new kidney. Her story highlights a growing backlog of those nationwide who need kidneys and struggle to get them, with some dying during the years-long wait. Reardon, a 44-year-old mother of two adult daughters, has lived in Augusta for 17 years with her husband. She is a nurse at MaineGeneral HomeCare, traveling to patient’s homes to treat them. Reardon had a heart attack last year. During treatment for that, doctors used dye to help identify her blood vessels. 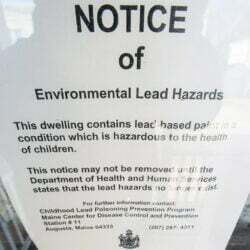 The dye, she said, had potential to cause kidney damage, and it revealed and exacerbated kidney problems from a birth defect that went unnoticed for years. Before the dye caused kidney failure, she had renal insufficiency, a general term for poorly functioning kidneys. Renal insufficiency can cause hypertension, but some affected can have no symptoms. She said as a result of the kidney failure, she has been on dialysis for eight months. Her eight-hour sessions happen six days a week. Reardon maintains a full-time work schedule but is sometimes forced to call in sick because the dialysis takes too much out of her. After rigorous testing, Reardon was accepted on a waiting list at Maine Medical Center in Portland for a kidney from a donor who has died. Unfortunately for Reardon and others in need of a transplant, that waiting list is backlogged for four or more years. Reardon said without frequent dialysis, her current condition would be fatal. Reardon said she put up the signs on her lawn at 100 South Belfast Ave. on Tuesday as a “last-ditch effort” to find a donor. 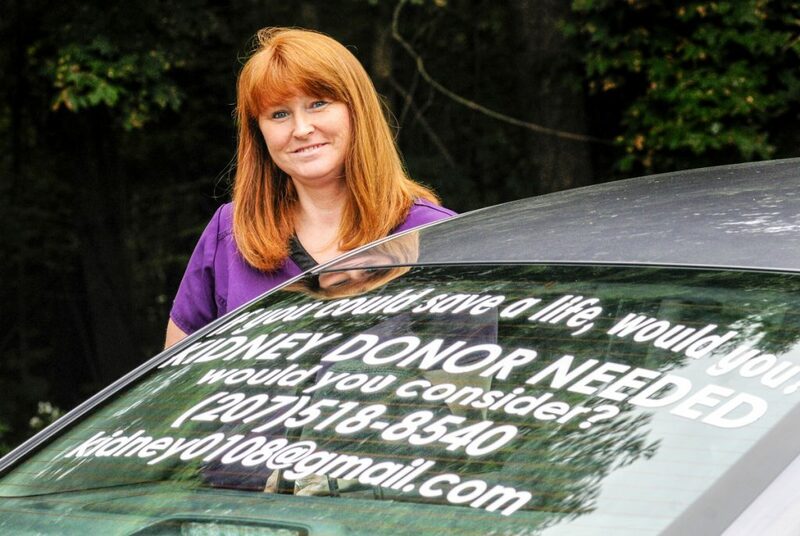 The signs read, “I require a life-saving transplant,” and they display a phone number and an email address that Reardon set up specifically for fielding calls. She also put decals on the back window of her car with the same information. She received calls and emails Wednesday from a half-dozen strangers who were interested in donating. “I’m amazed and surprised,” she added. Maine Medical Center’s Maine Transplant Program has performed about 1,700 transplants since 1971, according to its website. Juan Palma, one of two surgeons who handle transplants and the director of the Living Donor Program at the hospital, said Thursday that Maine Medical performs about 50 kidney transplants a year. He said 27 are from living donors and 23 are from dead donors, which is a ratio that is nearly the opposite of national data. In 2014, the National Kidney Foundation, a charity dedicated to the awareness, prevention, and treatment of kidney disease, found more than 17,000 transplants took place in the U.S., with more than 11,500 coming from dead donors and more than 5,500 coming from living donors. Maine’s proportion of living donors is much higher than the national average, in part, because of the unique closeness of communities in Maine. 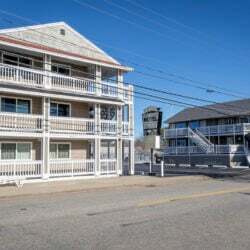 Palma said the average wait time is about four to five years for a kidney in Maine. Averages in more populated areas, such as New York, could range from five to seven years. Information compiled in 2016 by the National Kidney Foundation said about 100,000 people are awaiting kidney transplants. 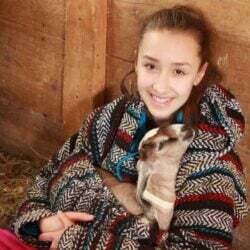 In Maine, Palma said, 105 people are on the transplant list. The transplant process requires three tests to determine compatibility. Palma said this evaluation process takes about six to eight weeks, but given donors’ work commitments, it could take four to five months. In 2014, the foundation said, about 4,700 patients died while waiting for a transplant and about 3,600 became too sick to receive a transplant. Palma said with advancing technology and awareness of new donors, he sees few cases of patients losing their window for transplants in Maine. Officials from the National Kidney Foundation were not immediately available for comment Thursday. According to the United Network of Organ Sharing, priority for deceased-donor kidneys is based on age, cause of kidney failure and “estimated post-transplant survival score.” That score is based on the patient’s age, length of time on dialysis and history of diabetes and/or organ transplants. Palma said this score is cross-referenced with another database that factors in geography to see who gets top priority to receive new kidneys. There is a small registry for living donors when a patient finds a potential donor who is not a match for them. The donor’s kidney can be swapped for one that is more compatible, even if the person did not intend to donate to the patient. Reardon began searching for living donors, starting with her immediate family. Compounding her misfortune, none of those tested was a match for her. According to Maine Medical Center’s Maine Transplant Program, about one-third of potential donors are not compatible with their intended recipient. Founder and president of the Living Kidney Donor Society Harvey Mysel said he founded the society when he first needed a kidney transplant in 2006. He said many potential kidney recipients feel alone in the process and need advocates to show them the path to a successful transplant. Mysel, based in Illinois, said he travels the country to hold workshops for those looking for living donors. He said the most common hurdle for those seeking transfers is getting the public to become aware of their story. 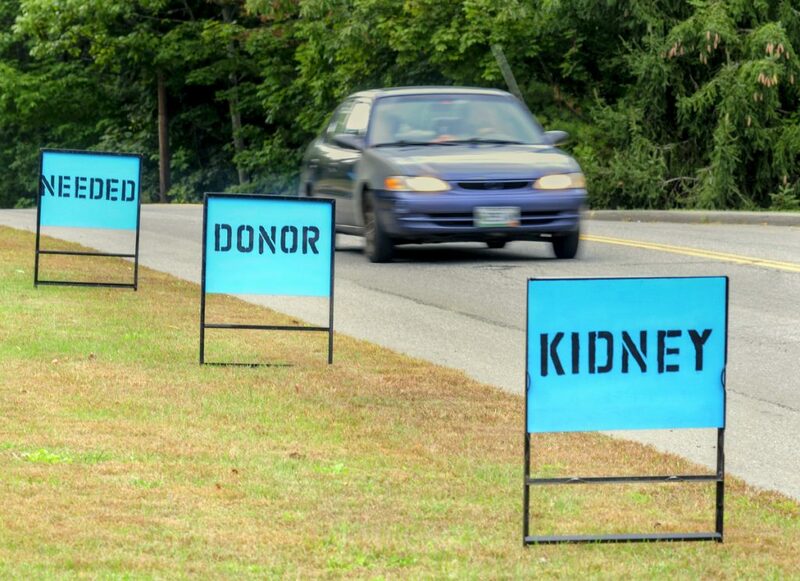 He said telling people in the community, and even putting up signs, greatly increases a person’s odds of finding a donor. “I teach them to fish. I don’t find donors for them,” he added.